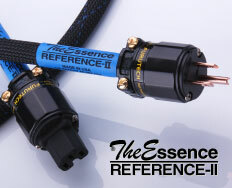 Approaching Reference Level Performance For A Fraction Of The Cost! 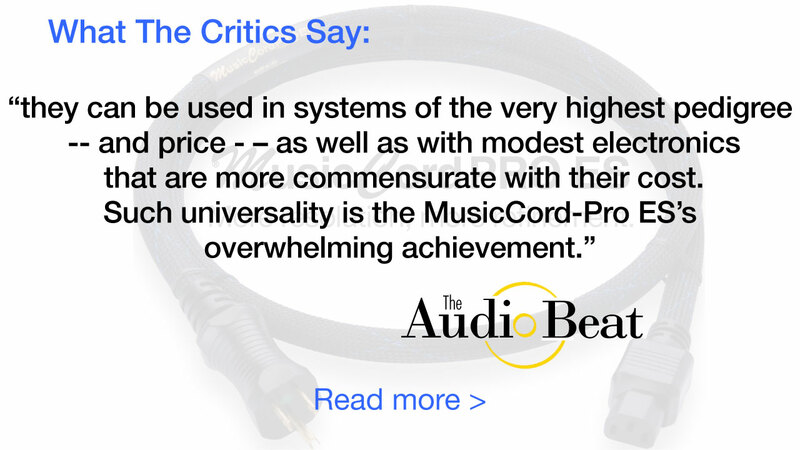 After establishing MusicCord-PRO as a legitimate "game changer", elevating the power cord to component status among artists and recording professionals, we could have rested on our laurels. But we were not satisfied. Our own Reference series components are THE benchmark for excellence. But to achieve Reference level refined performance requires costly and proprietary processes that do not lend themselves to mass production techniques. 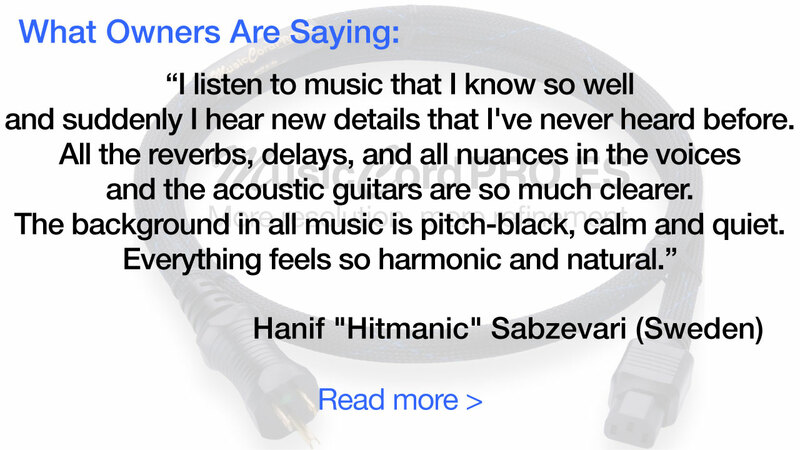 Still we asked, "How can we improve MusicCord-PRO to narrow the performance gap?" 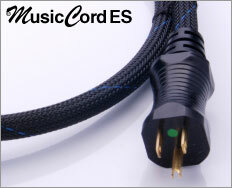 The result of our efforts is MusicCord-PRO "ES". "ES" stands for "ESpecial". For the audiophile, your system will realize a new level of audio honesty when listening to your prized music collection, moving you a step closer to hearing exactly what the recording engineer intended. 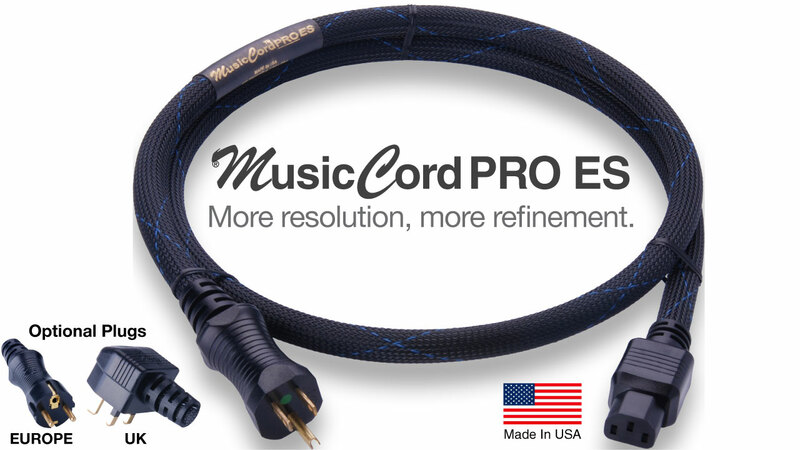 What's the difference between MusicCord ES and MusicCord-PRO ES? 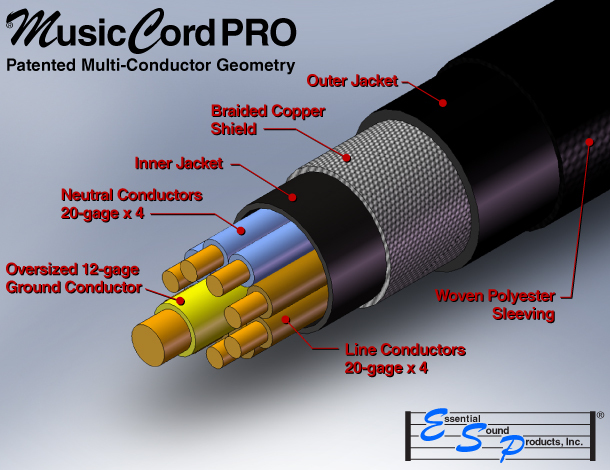 MusicCord-PRO ES has more current carrying conductors so it can deliver more current faster! 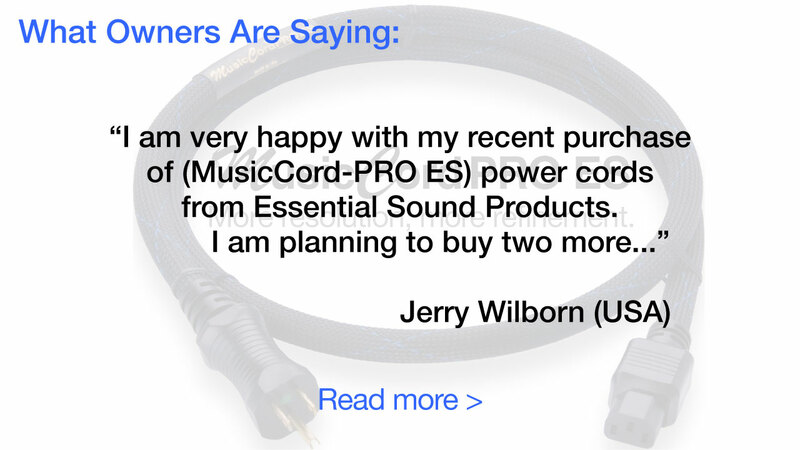 MusicCord-PRO ES's performance advantage is most noticeable when used with power amplifiers, full-range powered monitors, powered subwoofers and tube components. "How did we do it?" you ask. 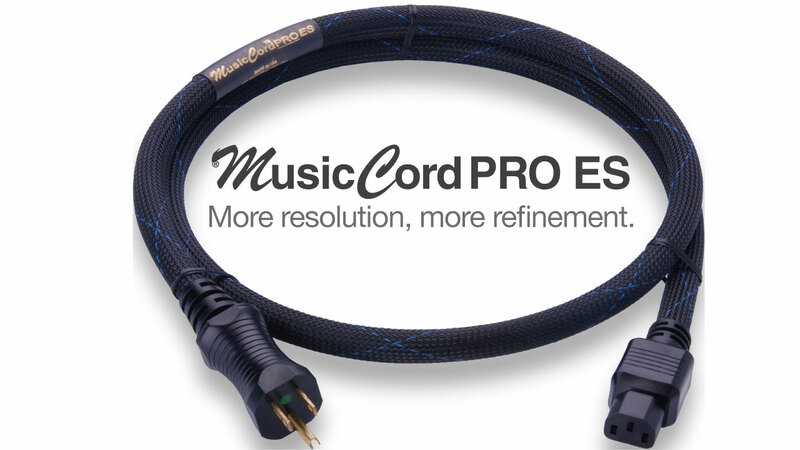 What affords MusicCord-PRO ES it's ability to deliver improved resolution and refinement over the standard MusicCord-PRO? Before the plug pin terminals are used in process, we apply a process that removes surface impurities including any platings, and smooths the surface of the terminal. Each terminal pin has to be processed individually. The result is elimination of oxides and impurities, and more intimate contact with the mating contuctors. This eliminates audible distortions and coloration., and contributes to the overall improvement in resolution. Deep Cryogenic Treatment To -300o F.
Cryogenic treatment is a process of slowly lowering the temperature of materials to -300o F, then gradually raising the temperature back to room conditions. Cryogenic processing alters materials at a molecular level. This permanent, irreversible process releases residual stresses, and alleviates the negative effects of crystalline grain boundaries in copper and brass. This process effects a measurable reduction in the cord's resistively for improved current flow. The result is less distortion, which impacts all performance attributes, but particularly resolution. Multiple small-gauge conductors connected in parallel combine speed and phase performance with high current capacity. Oversized ground conductor and maximum coverage shielding afford lower noise levels. We combine hand craftsmanship with mass-production techinques for optimal performance. With reinforcement ring and molded strain relief, our terminations will never loosen and cause a "buzz" noise or discontinuity. 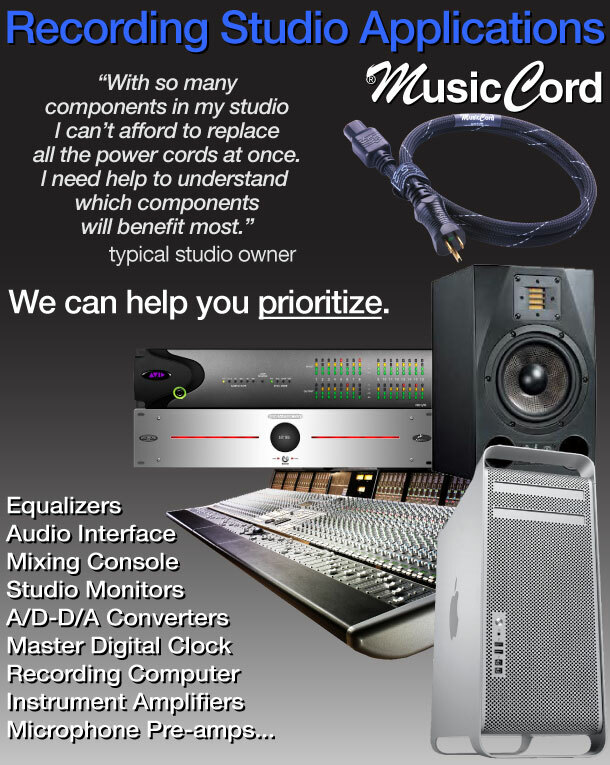 Designed to be a de facto standard, MusicCord-PRO ES has become "the choice" for high end studio applications. With so many components in a typical project recording studio, where does one start? 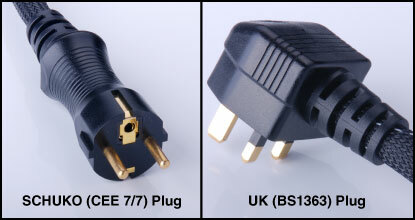 These components have a direct impact upon the sound quality of every recording/mix you make. 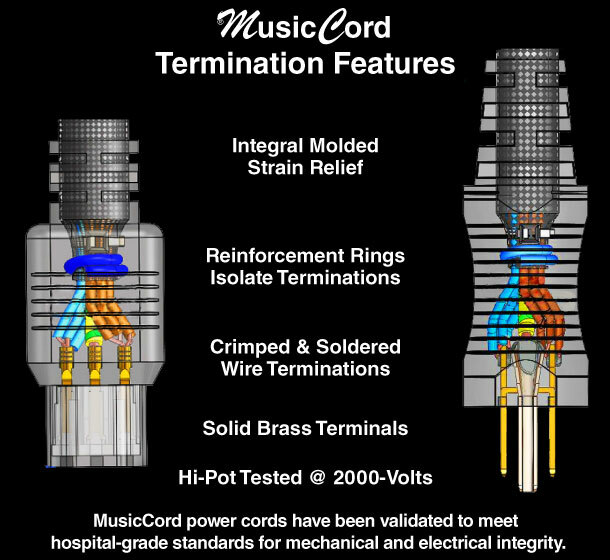 Using MusicCord-PRO ES with the following components can be as impactful to the end result as those in the 1-A priority grouping. 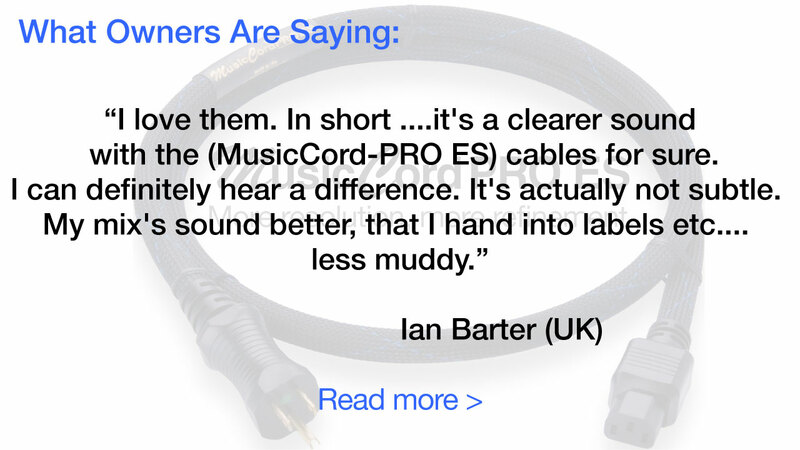 For example, using MusicCord-PRO ES with studio monitors does not directly impact recording quality, but will allow you to hear more detail and resolution, and make better decisions. Other components improve the input sound quality of instruments or vocals being recorded. 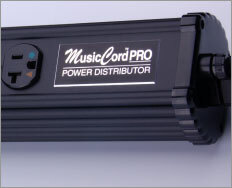 Using a single MusicCord-PRO ES with a multi-slot 500-series power supply will give you a lot of bang for the buck! 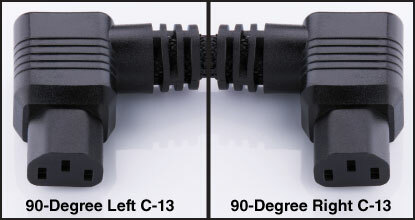 In addition to standard straight configuration, we offer 90-degree left and right C-13, and C-19 (20-AMP) IEC connectors. 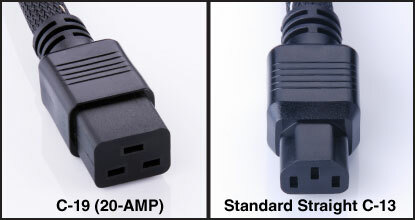 Want to convert your amp to use a detachable power cord? 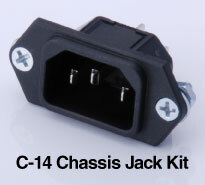 We offer a C-14 chassis jack kit. Ask for details.